The first time I went to London I saw all the usual tourist attractions but like every other tourist destination, to go inside costs money. Being that this time I am on a much stricter budget, I had to see London in what I like to call the broke college student way. Only seeing main attractions from the outside and finding any possible free thing to do. We also had to stay a little further out of the city to be able to afford our Airbnb. On Friday, our first full day in London, we started our day by going to a place called Camden Market. I had never actually heard of the place before so I was excited to see something new. The market was unlike anything I can remember seeing back home in the states. There were venders for everything you could possibly think of, from clothes to tapestries to hang on the walls. The atmosphere was that of a hipster mall, hidden from the mainstream. Even though the market had just opened, it was already crowded with people. I walked around the market for two whole hours, mostly because it was such a maze that I couldn’t figure how to get out. I had worked up an appetite from all that walking and decided to try one of the many street food venders. I, being the picky eater that I am, struggled to find something that I would actually eat before coming across a mac n cheese stand. The price was a bit steep at five and a half pounds but the food was beyond worth it. After sitting down to eat for a while, my travel companions and I decided to continue on and see what other free things we could find. One of the other girls that I had traveled with had also been to London before so her and I decided to show the two newbies all of the regular tourist attractions before heading off to Harrod’s for tea. Harrod’s is a very high end mall that takes up at least an entire block. The massive building holds five levels of luxury shopping. Brand names such as Gucci, Prada, and Fendi can all easily be found within the walls of Harrod’s. Like I said though, I am on a poor college student budget. The three of us window shopped through all five floors of Harrod’s before deciding to rest our legs for an hour or so in the Tea Room. We figured we couldn’t go to London and not drink any tea so we each ordered our own pot off an impressive tea menu. We were all getting hungry from all the walking around so we asked the birthday girl of our group where she would like to eat. That is how we ended up in China town. Much like Camden market, I hadn’t even known that China town existed until I saw the red Chinese lanterns strung up above the streets that house the area. It looked like something straight out of a movie. It was exactly how I imagined china town would be. The entire block was filled with nothing but Chinese, Vietnamese and Japanese restaurants. We picked one of the restaurants right off the street. We sat by a window and watched all the festivities unfold. After a long day of travel, we decided to head back to our Airbnb. The tubes were packed with people just heading out for the night as we passed them to make our way to our beds. I had only been back in London for one whole day but I had already managed to see two new things. Seeing an entire city is almost next to impossible, it never hurts to revisit a place you’ve already seen because I can almost guarantee you there will be something new to see every time you return. I thought I had seen it all, but this trip showed me just how wrong I was. Great article, Victoria! It’s cool that you had the opportunity to see London in a different way both times you went there. Also, you can connected to the changes that have been done to the city or the things that stayed the same over time with your visits. Its always fun to go to different places in the world to change up our scenery and just feel something you’ve never felt before. When you travel you also have the opportunity to try their different foods that you aren’t used to and see what its like within different cultures. Thank you for sharing your story! What a wonderful opportunity you got by getting to travel to another destination on your study abroad trip. Money does not always define the things you can do in life. You being a “broke college student” still managed to explore new and old things. Walking away from your London trip, you were able to see more things than you had expected. This is a great way to see every adventure–keep an open mind and see everything. Going the cheap route and staying outside the city may have allowed you to see parts of London you would not have if you were to stay within the city. Like you said, you cannot leave without having tea. Little things like that are what defines a destination, attracts tourists, and allow for those tourists to make memories. This was a fun article to read because it was different. Returning to a city that you had once been a tourist to is something special in itself. Not only are you able to see new parts of the city you weren’t able to before, but you can also see what has changed or stayed the same over the time between your visits. It’s interesting that you bring up the college student money issue because that makes it extremely relatable. It is cool that you can find free, fun things to do. Many times we try to find free things to do in our own cities, but we become used to what we have around us so we don’t see these free things as fun anymore. I would guess this is the case in London for the people living there but visiting the new place is so refreshing and new that almost anything you see is extremely cool. I compare London to a smaller version of New York. Being a tourist in London can be so much fun because there is so much to do. 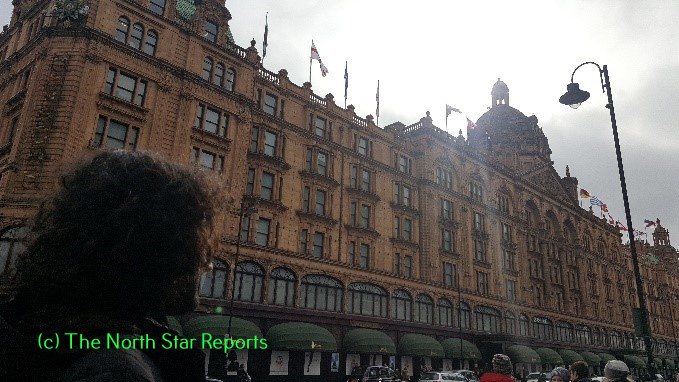 Visiting Harrods is definitely an experience as it is not like any other store I have been to. With London being the biggest city and the capital, it is seemingly more costly to do things in London than elsewhere in the country. Tea almost anywhere is pretty good in London. It is always difficult to see everything in London because there is way too much to do. At least you know areas to visit next time you go. I personally do not know very much about London so this was very interesting to read. It sounds to me like your first trip was similar to my trip to Washington DC. I felt like we got to see everything. We even got to go into The White House. This was an amazing trip and I didn’t think I would ever have to go back, but by the sound of your second trip to London i better go back because I probably missed a lot more than I realized. Thank you for sharing the London culture with me. Thanks for sharing, Victoria. As annoying as it is most of the time, it’s a good thing that we have to live cheaply sometimes. It teaches us other ways to enjoy things in life. It also stresses the fact that money isn’t everything. It seems to me that you very much enjoyed your trip to London even on a tight budget. And you are right; it never hurts to visit a place you have already been. You are likely to experience something new every time you go. Sounds like you had a great trip! Thank you for sharing your experience with us! I had always wanted to visit London ever since I learned about Big Ben. 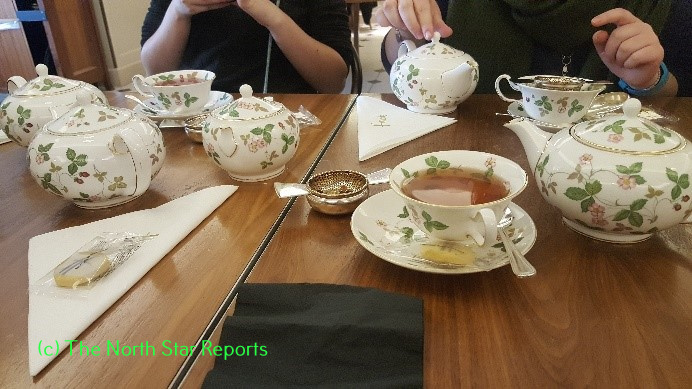 However, after reading your article, I really want to explore the China Town in London and try some of their teas, since I am I a big tea lover. I wonder how different the China Towns and teas from the US, different from London’s? I bet it is a huge difference between them, but I personally would want to experience it myself. Your images of London is beautiful! I believe it captures the uniqueness of London even if it’s not what’s its known for. What an amazing experience! I particularly like your term “college student budget” as it describes exactly what kind of traveling many of us will have to do if we decide to travel during our studies. The classic tourist attractions in any place are a must see and people back home always ask about them, but the other ones you mention sound like more fun. New areas that are unexpected can mean more to a person because they do not have any preconceived notions of what they may be like. London sounds like a cool city to visit for both the high end and low end budget person. Although I have not been to London, I can still agree with you that is a city with constant based on stories from cousins and shows based in London. I also like your version of broke college student tour of London because you were still able to do some things. Camden market also sounds like stores I would go to in Nigeria because you just had to get to one market to find all the things you need from meals to toiletries. Good for you for trying food and I would be scared too because I am also a picky eater, which makes things extremely difficult when it comes to time to decide as to what I want to eat. I did not know tea was a huge thing in London so it was great hearing your side of the story. Thank you for sharing your story. I felt that I could relate with you. I too have gone some where so extravagant and left feeling like I knew all there was to know. Little did I know that there was so much that I had not seen. Being a tourist gives us the overview of a location. We only know of the large, important places, architecture, and people. Yet, there is always so much more than readily available. Some of us are lucky enough to go back to these places and revisit. This is the chance of a lifetime. It lets us understand and see the small, not as well known, things and it also gives us an appreciation for them rather than worrying about seeing everything in a certain amount of time. I am glad that you got to have this experience and hope that you get the chance to enjoy other locations in this same way. London certainly sounds like a very interesting place. I do not think I could live in a big city, but I love to visit them. I have been to big cities like Chicago and Seattle, but London is certainly on the list. Many people I have met this year are english so that sparks my interest. Tea has never been in my wheel of drinks, but good english tea is also on the list. Traveling is just a great experience no matter where you go. Seeing different cultures can have a big impact on your own life, and there are so many new things to see. Even when you have been somewhere before! It must be an exciting feeling to visit such an iconic city not once, but twice! Your descriptions of the various places to shop and eat were great to read about, because I have never been to London and I had never heard about Harrod’s before. It seems like a very impressive shopping center to visit, and I am curious if you could tell if there were distinct splits in socio-economic statuses based on what people were wearing, or where they went and ate at Harrod’s. It’s great that in addition to seeing the usual tourist attractions, you were also able to find new places to explore. I think hipster market that you mentioned early on offers a unique experience to popular cities like London. I hope you were able to do a lot of people watching in London, as I think it is much more interesting when you are in a foreign country! London is definitely a destination I wish to attend one day. Preferably a little later in life, because right now I am in the same boat as you, I’m a broke college student. I enjoy reading about how you attempt their customs and food, especially when you tried their tea. A good thing however about being a broke college student in London is the fact that next time you go, you will know exactly where to go and what you want to do. I hope one day you can make it back to London, and enjoy some more luxuries that you may not have been able to afford now. Victoria, it sounds like you had an amazing trip to London. I have had a few friends and my mom who have had the awesome opportunity to study abroad in London and they all speak so highly of their experiences. The Camden Market sounds like an interesting venue, I’ll definitely have to check it out. It’s nice that you were able to travel with someone who has traveled to London before. It would be so fun to window shop at the Harrod Mall, but it would definitely have to be just window shopping. Sounds like you have been having a fun time, enjoy the rest of your trip! How neat of a day trip! I am jealous of all of your travels this semester. I am glad that you are able to travel into places that you have never been, life long memories! One of my favorite things about traveling is being absolutely broke and still finding free cool things to do. Cheers! One of my goals is to eventually make it to London, so I am pretty jealous of the fact that you’ve been there twice. I think it’s great that you really just took the city in for what it was, despite your lacking financials. Personally, I think being conscious of how much money you’re spending and saving it actually forces you to focus more on the culture, the people, and your surroundings, which almost makes you richer than showing off a new Gucci bag or other materialistic things anyways. I appreciated your ending point that you managed to realize that you haven’t and will never see it all. I think that is so true even for some people who spend their whole life in one area. I personally have never been to Gooseberry Falls, yet I’ve lived forty minutes away from it my whole life, and some people travel hours to see it. Like you said, London is huge and you can’t see a whole city in one day, but that doesn’t mean that you can’t try to soak one up as much as possible when you have the chance, and it’s great that you’ve been doing that! You make a very good point about revisiting places you already have gone. I am from the cities. No matter how many times I go to Minneapolis I never fail to find something new in my favorite city. The Camden Market sounds like it is very interesting and like I would enjoy it. Farmer’s markets are one of my favorite activities in the summer. 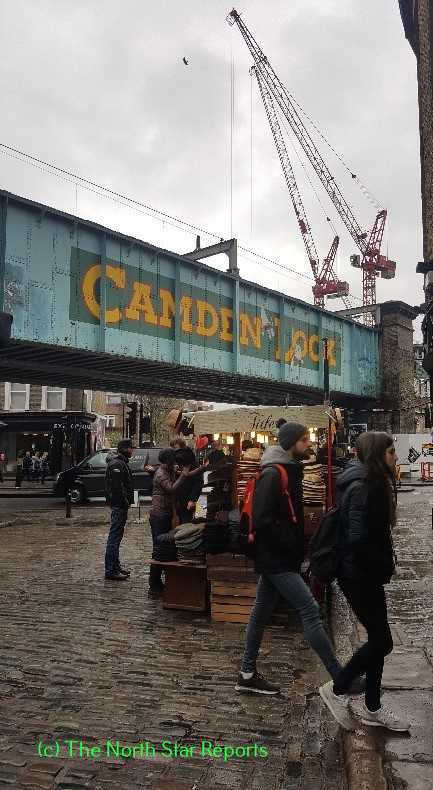 However, it sounds like Camden Market is a whole year things, and offers a lot more than what a traditional farmer’s market does. Thank you for sharing your experiences in London! London and England are also at the top of my list for abroad travel! I am a HUGE Harry Potter geek and have always wanted to go see all of the places that have influenced the books that shaped my childhood. I also want to go to the big touristy places that are in London. Thank you for sharing your experiences in London and Ireland! It is really amazing that you can experience such different types of cultures while you are over there. Being in Ireland you see that, but being able to go over to London and experience even more culture differences is truly amazing. I like how you are able to put yourself completely into a culture other than your own and enjoy it and being able to learn new ways. London is one place that i really hope i am able to travel to someday. It is nice that this was your second time being there so you had an understanding of some of the sights to see. Being a broke college student also i can understand what it is like to see the sights on a budget. Over the summer i travelled to Colorado and me and my friends did mostly cheap or free activities. We did a lot of hiking and were also lucky enough to visit a National Park on a day that the park was free. The picture of China town looks very cool. I find places like that within a city to be very interesting and a good place to stop by as a tourist. The China town in New York i remember being overwhelming because it was such a sudden change in culture, and then once you walked out it felt completely different again. It sounds like the trip to London was very fun and had some good food involved. This article was interesting in means of thinking in a different way when visiting a town. I completely agree with you when you talk about revisiting a place because there will always be something there that you didn’t notice before; much like watching a movie for the second time (or more) and you catch things that were said that you didn’t notice the first time you watched it. You can always find the joy in seeing something again, because no matter how many times you’ve seen it, it will always be new and different. I enjoyed how you said that you had to see things “the broke college student way”. I believe that you could almost see more and actually experience the culture when you are not focusing on the tourist attractions. If you are trying not to spend money, you often find the hole in the way places that are more worth your time and money than any tourist attraction would be. I wish I had had the opportunity to visit London while I was in the U.K. One thing that I loved about England was how there was a tea room or a cafe on what seemed like every block! It makes sense, seeing as the English really like their tea! I think sometimes the free tourist attractions can be the most interesting,like the market that you went to! While buying things would have cost money, walking around and experience the culture around you costs nothing and I think that that can be the best part of any trip abroad. I hope in the near future I am able to head back to the U.K. and spend a significant time exploring London! I have always wanted to travel to London! Your experiences there seem like a lot of fun! I had never known that London had its own China Town. Just goes to show how a little bit of exploring can bring you to places you never knew existed! I completely agree with you that a person can’t go to London without having tea. I’ve always wanted to try tea from there. As a fellow college student, I completely understand having tight budget, but still wanting to go out and make the most of your trip with what you can afford. Thanks for sharing about your trip and I hope you have a great rest of your time there! Thank you so much for sharing your experience in London! I really like that though being a broke college student you and your friends were able to have a good time in London. It seemed like a fun experience overall with experiencing all of the new places that you have never heard of. I really liked how you ended your article “Seeing an entire city is almost next to impossible, it never hurts to revisit a place you’ve already seen because I can almost guarantee you there will be something new to see every time you return.” I feel like this should be common advice for people when they are visiting places abroad. Cities are massive and you just don’t have the time to see it all but if you have the chance to go multiple times you should try and see new things every time instead of just the touristy attractions over and over again. You had me at, ‘Camden Markets’. So far removed from the popular image of London (phone booths, men with funny hats, the Queen), it is a wonderful and vibrant place that highlights the fact that London is a culturally diverse, metropolitan area. I am especially interested in your experience at the high-end shopping mall immediately following this. The companies displayed in the building are not UK exclusive, so the institution is used as more of a center for wealth tourism than cultural. I remember being in Paris and finding joy in just walking around and marveling at how expensive things were, even though I would never be the type to buy-Or even afford- these products. I feel that in Europe, London, there are so much more things to do because of all the history the city has to share? They still have many buildings and art work and is displayed were I feel in America this is seen less. When I have traveled as well, re-visiting a place is a great idea because you have already done most of the tourist type things. This is when you can see the deep parts of a city. I think this is the best part of a trip. I loved how you made note of this when you had returned to London with your friends. When you got to be the tour guide. This is always a fun time. Thank you for sharing your time in London! It sounds as though you had a wonderful time! I think one can always find something new that they may have not seen or noticed before in any place they have visited, or lived (or currently live). I have lived in Duluth now for quite a few years and I still find many new places and sights I never knew about before. I am very excited because this summer I will be revisiting London myself. I went a few years ago my senior year of high school! Your article has made me all the more anxious for this trip! This was so fun to read! I have never been to London but I would love to go someday. As stereotypical as it sounds, but it has always been my dream to have tea in London. I think it is really cool that you tried to do things that were almost free, and it worked out because you found places you had not been before! My friends and I like to go uptown Minneapolis and find things to do for free. It can be challenging but it is always fun! Also, the tourist locations in cities are always the most crowded, so I’m sure it was nice to get away from the huge groups of people. Have a great rest of your trip! I’ve never been to London, but I’ve always wanted to go! I’m the kind of person who would want to do all of the basic tourist-y things. I would also want to just adventure without having an agenda! I would just be too afraid to get lost. It wouldn’t be too bad, though, since everything is still in English. I definitely feel the struggle of being broke, so I’m glad to see that you were able to find some things that didn’t break the bank. I would honestly be fine just walking around without having to buy anything. I’d have to do a lot of research before I started my day, but I can also see how making it a spontaneous day would be fun too! Victoria, thank you for sharing some stories from your trip to London. It is amazing how many restaurants and shops there are in large urban areas. In World History I, we have been discussing how cities provide access to most of our needs and wants, which is harder to find in the country side. The countryside is often glorified, but yet it is not easy to live there, as the work farmers do is unrelenting. It gives a new appreciation to the type of person who lives in the country side and the type of person who lives in a city. Although neither may choose to live where they live, both have plusses and minuses. London the city you see in movies growing up, the city where you would like to visit. I think its so cool about learning of other cities. It gives a new look at different way of life in the city. It is great to see what other cities have to offer and the things you can learn from it. Thank you for sharing your story and hope to here some more. What a fun post! I love going to a new place and being able to find free things to do. Sometimes they are most fun and most memorable. 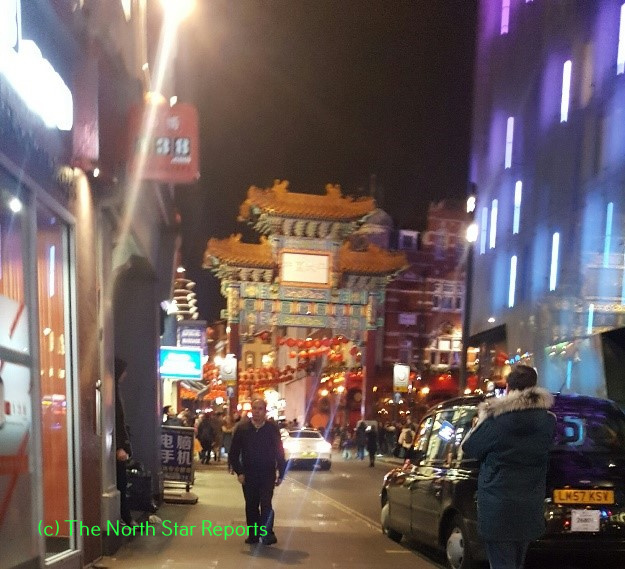 While reading your post, I was very surprised that there was a China town in London!! I thought to myself, “that is so random and different.” But then I realized that everyone around the world is different and they do different things. It’s normal to them and it is also to us because we also have random China towns across the US. I always realize little flaws of judgement I make unconsciously that I am still needing to fix. Thanks to Professor Liang’s class, I’m able to realize more and appreciate everyone’s doings and opinions in their own way. Your post was also very fun to read because it constantly reminded me of trip to China. We also walked a ton and like you said, it is impossible to see everything in one day. Again, awesome post! !